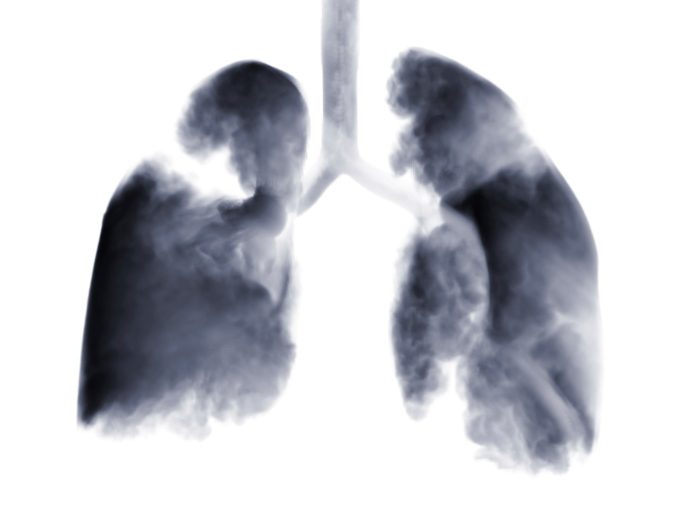 Oncogenic driver mutations in patients with non-small cell lung cancer may be associated with environmental factors. Researchers led by Tomoya Kawaguchi, MD, PhD, of Osaka City University in Japan looked at 957 patients with newly diagnosed stages 1 to 3B NSCLC from July 2012 to December 2013 as part of a prospective, multicenter molecular epidemiology study. They performed molecular analyses on 876 samples, examining for somatic mutations in 72 cancer-associated genes by targeted deep sequencing, ERβ expression through immunohistochemical staining, and infection with any of the 37 types of human papillomavirus (HPV) through a polymerase chain reaction-based microarray system. A questionnaire was used to obtain patient demographics and environmental factors. They found that oncogenic driver mutations in P53 and KRAS had increased proportionally with smoking status, whereas mutations in EGFR and SMAD4 had decreased. KRAS mutations in smokers and SMAD4 mutations were observed more frequently in proportion to BMI. Furthermore, TP53 and NFE2L2 mutations were observed more frequently in advanced NSCLC stages. EGFR mutations were observed more frequently in women while TP53 mutations were observed more frequently in men, with mutations in both genes potentially associated with ERβ expression. Kawaguchi T, Koh Y, Ando M, et al. Prospective Analysis of Oncogenic Driver Mutations and Environmental Factors: Japan Molecular Epidemiology for Lung Cancer Study [published online ahead of print May 9, 2016]. J Clin Oncol. doi: 10.1200/JCO.2015.64.2322.